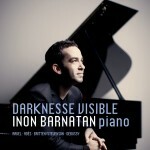 Inon Barnatan is “a born Schubertian” who performs with “sensitivity, poise and focus,” according to Gramophone magazine. Schubert occupies a great deal of Inon’s 2013-14 season, including his second release for AVIE of the two late Sonatas, D958 and D959. Inon’s first release for AVIE, Darknesse Visible (AV 2256) debuted in the Top 25 of the Billboard Traditional Classical chart in its first week of release and received universal critical acclaim, including BBC Music Magazine’s Instrumental Choice of the Month, and a coveted place on The New York Times’ Best Classical Music Recordings list of 2012. 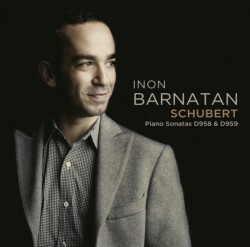 Inon’s new release will be supported by a number of recitals that feature Schubert Sonatas.